Scientists are still trying to find out the earliest signs of human migration. Earlier, they discovered1.85million-year-old fossils and tools in Dmanisi, Georgia which is about 3,800 miles to the west of the new excavation site. Lately, they have uncovered tools in China which pushes back the date of human existence outside Africa to about 250, 000 years. According to some exciting news that was published in the journal, Nature, there were scattered remains of stone tools dating back to 2.1 million years that were unearthed in Loess Plateau in China. Scientists have been tracking the human migration outside Africa. With the latest discovery, they have come closer to understanding the migration of humans from Africa more than 6 million years ago. An anthropology and geological sciences professor, John Kappelman from the University of Texas at Austin, wrote an article in the journal Nature’s “News & Views” on the importance of such a discovery. The latest findings bridge the gap between the beginning of humans and where they are today. John Kappelman who was not involved with the study, shares his views about the research. Firstly, the human migration out of Africa keeps getting pushed back in time. It is possible that the human migration was towards Asia in the east and only many years later to Europe in the west. This is substantiated with the latest discovery. Secondly, the human migration to the north suggests that they were able to adapt to colder regions. When it became much colder, the people migrated to the south to warmer climates. What are the reasons for human migration? Those who are hunter-gatherers migrate to places where resources are available. This human migration is also seen in industrial societies, where people move to areas where jobs are available. If we consider the hunter-gatherers of today, they could cover around 5-15 kms per day. If the ancient group covered that distance in a year, and the distance between China and East Africa which is 14,000 km is divided by 15 kms, then the human migration would take place within 1,000 years. The humans migrated out of Africa during the glacial and interglacial conditions of Pliocene and Pleistocene. It is more likely they migrated during the warmer climates. The climatic conditions were equitable as compared to the extreme climates witnessed in the past million or half a million years ago. What was the population size of China 2.1 million years ago? The stone tools that were discovered were scattered and not really a dense accumulation. This shows the hominin presence but the size of the population cannot be determined. Of what materials were the tools? According to evidence, the raw materials were from the Qinling Mountains about 10 km away. Since there was not much excavations carried out, it is not sure if the tools came from that area itself or it was brought in during human migration. What more are the researchers looking for? 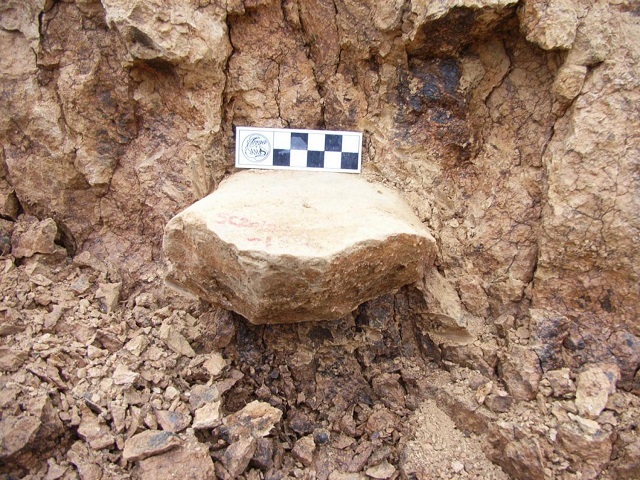 There were animal bones found in the sediments near some of the stone tools. They will be examining them for cut marks to see if the tools were used to process the animal carcasses for their meat and bone marrow. They can also analyse the cutting edges of the stone tools for biological residues. The team may carry out a search for human fossils. It is highly probable that some large- scale excavation may take place. A rare collection of Jewish texts spanning a number of centuries and many continents has found a place at Brown University. These Jewish texts contain collections of Haggadot which has details of how the Passover rites had to be performed. The book of rare Jewish Texts had been gifted to Brown University by Ungerleider Jr. in honor of his father who studied in Brown University. The book details how Jews celebrated the Passover Seder in many centuries past. What are these Jewish Texts all About? The Dr. Steven Ungerleider Collection of Haggadot is a guide to the preparation of the Passover fest celebrated by Jews to mark their ancestors exodus from Egypt. Haggadot is a plural to haggadah which is a guide to the various preparations required for the Passover feast. These Jewish Texts detail rituals, customs and blessings marking the freedom of Jews from Egypt. This rare collection of Jewish Texts gives a valuable insight into the way the Passover seder was celebrated worldwide in the past. The Jewish collection of texts will also support all sorts of learning by scholars and students alike. It is also a valuable treasure for those who have a genuine interest in looking at past texts. The haggadot contained in these Jewish Texts cover regions and practices of Jewish communities from all over the world. The haggadot covers the tradition of Jewish communities from Asia, Europe, North America, Africa and the near East. The haggadot are chronicles of tradition detailed by Jewish communities in Constantinople in 1505, used in Calcutta in 1841 and also by Holocaust survivors in camps in Munich in 1945 to 1946. These are not the only places detailed in these Jewish texts but just a few among many others. Besides being a collection of passed down tradition, these Jewish Texts also contain annotations, hand written notes and many other such writings by families following the tradition. Since these Jewish Texts span many different continents, it also contains many different languages including Yiddish, Judeo- Italian, Judeo Arabic ad Ladino. These texts span all from U.S. to Australia to India and in Casablanca to Moscow via Jerusalem. Students of History, Judaic Studies, Religion, History of art and architecture, Italian studies, Music, German studies, Renaissance and Early modern studies and Slavic studies will benefit from this book among others such as scholars and those who have a genuine interest in everything of the past. The book is open to public viewing at Brown University’s Special Collection Reading Room and also available in a digital format for all others who cannot be there in person. As of now only a few of the Jewish Texts has been made into a digital format but the University is well on its way to making available the entire Jewish text in a digital format. 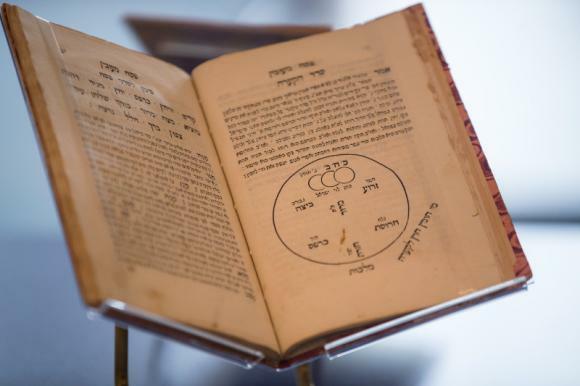 This rare collection of Jewish Texts is valued at $ 2 million. 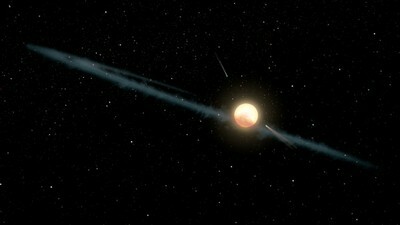 Results of an investigation directed in the discovery of an alien mega structure revolving a distant star has been released by a group of 200 researchers. Attention of the astronomers had been drawn by a star known as KIC 8462852 or Tabby’s star due to a strange phenomenon that saw the light it creates ‘inexplicably dimming and brightening sporadically like no other. This gave rise to a stargazer to recommend that the blinking was due to the presence of a Dyson Sphere which is a theoretical Death Star-style power station surrounding the sun and collecting all its energy. A data has been revealed about the `most mysterious star in the universe’, by the scientist making this recommendation, from an investigation fund utilising $100,000 raised in a campaign of Kickstarter. An astrophysics assistant professor at Pen State Department of Astronomy, Jason Wright, stated that they had been anticipating that once they eventually caught a dip happening in real time, they could see if the dips had the same depth at all wavelengths. He further commented that if they were almost the same, it would indicate that the cause was something opaque, such as an orbiting disk, planet or star or also large structures in space and the latest research rules out alien megastructue though it tends to raise the plausibility of other phenomena being behind the dimming’. It had been suggested earlier that the dimming had been due to a planet or a swarm of comets. Tabetha Boyajian of Louisiana State University commented that the dust is most likely the cause why the light of the star seems to dim and brighten. The latest data portrays that the different colours of light have been blocks at various intensities and hence whatever tends to pass between us and the star is not opaque as it would be expected from a planet or alien megastructure. The star had been carefully observed by the scientists through the Las Cumbres Observatory from March 2016 to December 2017. There had been four distinct episodes starting in May 2017 when the light of the star had dipped. Crowdfunding campaign supporters had nominated and voted to name these episodes where the first two dips had been named Elsie and Celeste. The last two had been named after the ancient lost cities- Scotland’s Scara Brae and Cambodia’ Angkor.The authors have mentioned that in several ways what tends to occur with the star is like these lost cities. They had written that `they are ancient; we are watching things that happened more than 1,000 years ago. They are almost certainly caused by something ordinary, at least on a cosmic scale and yet that makes them more interesting, not less. But most of all, they are mysterious’. The technique, by which the star is being researched, is done by collecting and analysing abundance of data from an individual target brings in a new era of astronomy. Tyler Ellis an LSU doctoral candidate studying the star had commented that they are gathering much data on an individual target and this project is reflective of changes in astronomy with the access of this abundance of data. Scientists going through huge amount of data from NASA Kepler mission had been the ones to identify the unusual behaviour of the star in the initial stage. The main purpose of the Kepler mission was to locate planet which is done by detecting the periodic dimming that takes place from a planet moving in front of a star and so blocking out a small bit of starlight. Planet Hunters, an online citizen science group had been established in order that volunteers could assist in classifying light curves from the Kepler mission as well as to search for such planets. Boyajian had stated that if it was not for people with unbiased look on our universe, this unusual star would have not been noticed and again without the support of the public, for this dedicated observing run, they would not have this huge amount of data. Wright has mentioned that there are models involving circumstellar material such as exocomets which had been the original hypothesis of Boyajian’s team that seem to be consistent with the data they had. Moreover Wright also pointed out that some astronomers preferred the idea that nothing seems to be blocking the star and that it just seemed to get dimmer on its own, this also is consistent with the data of summer.According to Boyajian it seems to be quite exhilarating and is grateful to all those who had made their contributions to this in the past year, namely the citizen scientists together with their professional astronomers. He stated that it was quite humbling to have all of them contributing in numerous ways of helping in figuring out the same. 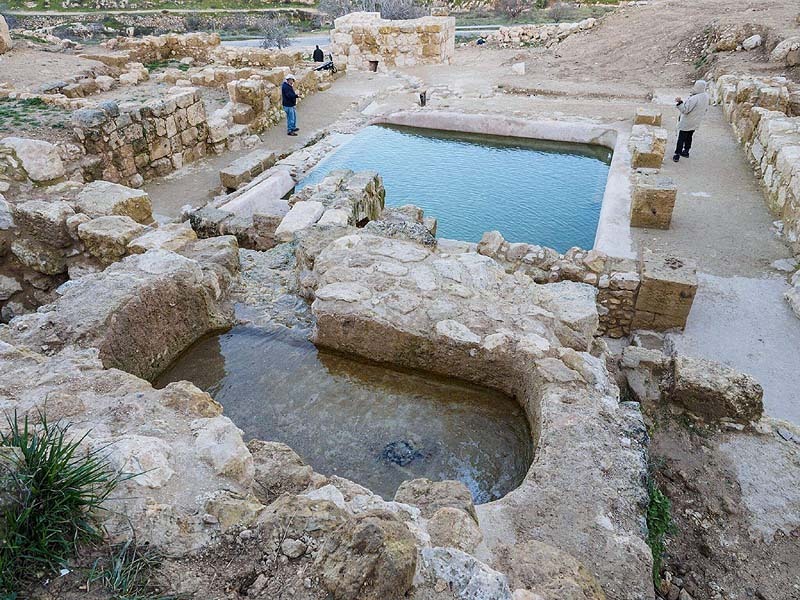 An old pool and fountain considered to be 1,500 years old has been revealed by archaeologist in Jerusalem which could have been the spot of one of the most referred baptism of Christians. The pool could have been formed as a place of a main story referred in the New Testament where St. Philip the Evangelist had baptised and converted an Ethiopian to Christianity. It has not been determined that the pool had been utilised for the baptism of the Ethiopian, however if it had been used for the same, it would possibly be the centre of `one of the main events in the spread of Christianity’. However, it is not known what the pool had been used for. The artifacts are said to be part of Jerusalem Ein Hanya, the second largest spring in the Judean Hills. Irina Zilberbod, the excavation director for the Israel Antiques Authority (IAA), stated, that according to the Jewish Press, the most significant finding in the excavation was a large and impressive pool from the Byzantine period. Zilberbod further stated that it was hard to know what the pool had been utilised for, whether for irrigation, washing, landscaping or perhaps as part of baptismal ceremonies at the site. The site had been exposed and excavated by the team of archaeologist from the IAA between 2012 and 2016 though it had only been made available to the public recently. The IAA is of the belief that the pool tends to date back between the 4th and the 6th centuries A.D.The pool is considered to date back to the Byzantine Era that had happened around 1,500 years ago. Byzantine-era pool is said to drain into a network of channels leading to a magnificent nymphaeum or fountain which seems to be adorned with images of nymphs. According to the scientist, the fountain is said to be the first of its kind in Jerusalem. The pool could have been a part of a royal estate which had been constructed during the time of the First Temple era that had started 3,000 years back. A column discovered at the site which may be 2,400 year old might have specified that the ground had been used as a royal estate and the pool could have served as the centre of a `spacious’ complex before a church which had once stood on the grounds. Zilberhod had stated that a row of elaborate, roofed columns served as a path to various residential wings. The experts had been successful in restoring the water systems in order to make the fountain in a working condition. Yuval Baruch, the IAA’s Jerusalem district archaeologist, according to the Times of Israel, had stated that identifying the place where the event had taken place had kept the scholars busy for several generations and had become a common motif in Christian art. He further added that it’s no wonder part of (Ein Hanya) is still owned by Christians and is said to be a focus of religious ceremonies for the Armenian Church as well as the Ethiopian Church. Moreover scientists also discovered a mass of rare, ancient trinkets, varying from pottery, roof tiles, glass together with multi-coloured mosaic pieces. With the help of these items, scientists have determined that the site could have probably been active between the 4th and the 6th centuries. The scientists had come upon a rare silver coin that is said to be one of the oldest they had found so far in the area of Jerusalem. According to them it is said to be the Greek currency drachma. The Times of Israel observed that drachma had been minted in Ashdod by the Greek rulers between 420 and 390 BCE. The site is considered as one of the most amazing archaeological locations in Israel which has provided much perception on early Christianity. For instance last year archaeologist had discovered an amazing 1,500 year old Christian mosaic which had been the floor of a church or monastery in the ancient city of Ashdod-Yam. In 2017 another ancient Greek inscription was discovered on a 1,500 year old mosaic floor in the proximity of Damascus Gate in the Old City of Jerusalem. On the inscription was the name of the Byzantine emperor Justinian who had ruled in the 6th century A.D. and honours the building’s founding by Constantine a priest. Between Tel Aviv and Jerusalem, a 1,500 year old church had been discovered at a Byzantine-era rest stop in 2015. In 2014, the remains of another church from the same era had been uncovered in southern Israel. Experts are of the belief that they have also discovered the lost Roman City of Julias which was formerly the village of Bethsaida considered to be the home of the apostles of Jesus, namely Peter, Andres and Philip. The missing wreckage of a flying saucer addressed as the `British Roswell’ has been discovered in a tin box in Science Museum in London. The piece of metal located in 1957 on Silpho Moor near Scarborough, North Yorkshire had been quite strange that it was named as `Silpho UFO’.The disc being 16 inches in diameter was said to weigh 22 lbs. had been inscribed with hieroglyphics identical to the wreckage of the so-called spacecraft discovered in June 1947, at Roswell, New Mexico. When the disc had been cut open, a book was found within which was made of 17 thin copper sheets wherein each sheet was covered in more hieroglyphs. Phillip Longbottom, a local care owner had claimed that the hieroglyphs translated into a 2000-word message that had been sent by an alien known as Ullo containing a warning which stated that `You will improve or disappear’. The remnants of the wreckage had been sent to the Natural History Museum in London where the experts have arrived at a decision that it could probably be an elaborate hoax since there had been no evidence that the metal neither came from elsewhere in the Solar System nor had suffered high temperatures of entering the atmosphere of the Earth. 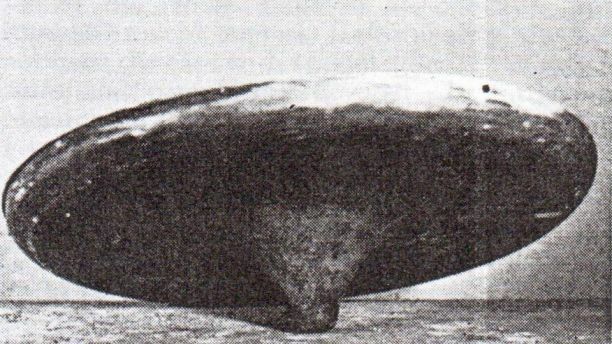 All the same, Air Chief Marshal Lord Dowding believed that the piece from the wreckagehad been an extra-terrestrial and had stated that the same had been examined by him in 1959 andit was found to be a `miniature flying saucer’. It is yet uncertain as to what really happened to the item of the wreckage thereafter and the members of the UFO community eventually were of the belief that it had been scrapped off deliberately. However it now seems that item of wreckage had been sent in 1963, to the Science Museum in London and laid forgotten in the files for over 50 years. The same was discovered only after Dr David Clarke of Sheffield Hallam University had given a talk recently on the release of the Ministry of Defence files of UFO at the Science Museum. According to him one of the museum staff had tapped him on the shoulder and asked him if he was aware that the bits of flying saucer wreckage had been kept in a cigarette tin in the museum group store for years.He informed that he had been totally amazed when later on the tin box had been opened and found the wreckage in it. It was clear that there were the remnants of the missing Silpho Saucer which some had claimed as the answer to the popular Roswell incident of Britain. He further stated that it had been unbelievable to know that the pieces of this mysterious object had been in a museum files for over half a century. The former editor of UFO Brigantia magazine, Andy Roberts had stated that the Silpho Saucer story had been the answer to Roswell incident of Britain wherein a crashed flying saucer was apparentlyflown away from a ranch in New Mexico in 1947. According to him it was an amazing breakthrough and incredible to know that all this while the pieces of the mysterious wreckage was lying in the museum files. The flying saucer had initially been found Scarborough businessman Frank Dickenson who had been driving in the proximity of the moor with two of his colleagues when they had spotted a glowing object in the sky which seemed to fall to the ground. He discovered the wreckage of the metallic saucer fallen in a patch of bracken and had returned back to inform his colleagues and when they had gone back to the wreckage it seemed to have disappeared. Frank had been desperate to locate the wreckage and had placed an advert in one of the local paper where a man had come up and sold the same to him for £10. On purchasing the wreckage back, Frank, together with Anthony Parker and Phillip Longbottom had forced the object open to find traces of glass, ash and copper book inside. Tests that had been carried out at Manchester University had disclosed that the shell of the object comprised of lead and the copper parts seemed to be of unusual high purity. Further test had also been carried out at Manchester University and it was discovered that the same could not have come on Earth from space since it was not exposed to high temperatures. Jenny Randles and UFO expert had commented that it is the most costly as well as a well-organized hoax which had even taken place in Britain. When the reported crash had taken place it had caused tremendous concern since the space race between the US and Soviet Union had just started and they had apprehension that the object could be from a spy satellite.